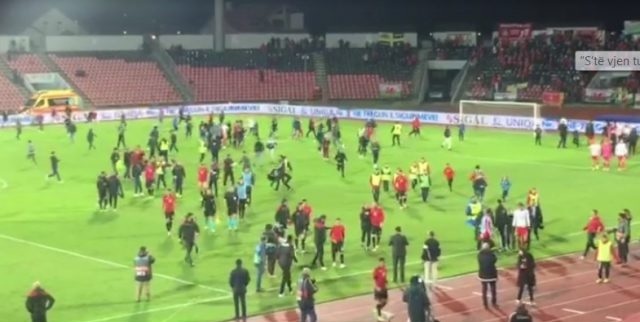 A fan from Wales who came to Albania to follow closely the friendly football match between his country and Albania had lost his wallet with money, tickets for the match and travel tickets. 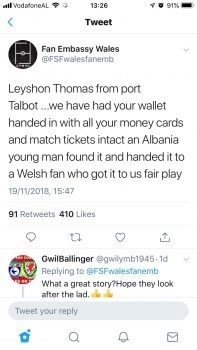 Leyshon Thomas from port Talbot we have had your wallet handed in with all your money cards and match tickets intact an Albania young man found it and handed it to a Welsh fan who got it to us fair play. The comment on the social network has not gone unnoticed by other fans who have congratulated the young Albanian whose name is not disclosed by expressing positive words about Albania.